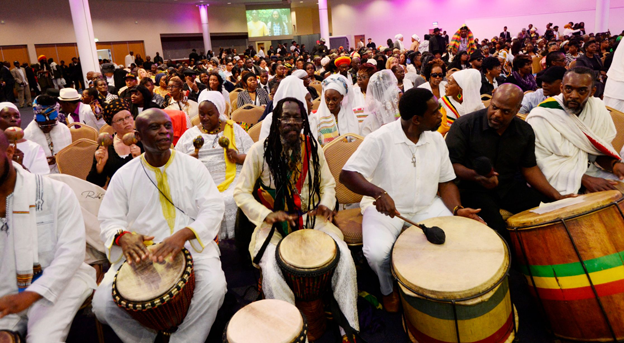 Thousands attended the colourful funeral of a much-loved Birmingham grandad and DJ who worked with a string of reggae artists. 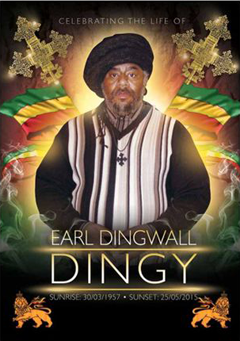 Earl "Dingy" Dingwall who was 58, was given a full Ethiopian Orthodox service – believed to be the first held in the city. The Rastafarian dad-of-nine was born in Birmingham to Jamaican parents and worked with singer and songwriter Dennis Brown, drummer Leroy “Horsemouth” Wallace and Freddie McGregor, a singer, musician and producer. HIs white coffin was lined with flowers reading ‘Grandad’, ‘Cousin’, ‘Son’ and ‘Dingy’, and was brought to Hockley’s New Bingley Hall by a horse-drawn carriage at noon on Friday (26 06 15). 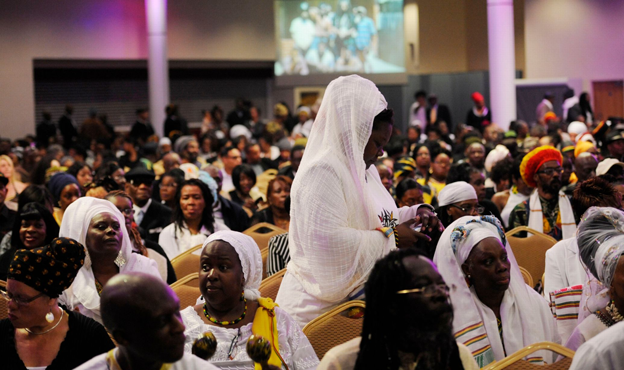 Mourners packed the hall for the two-hour ceremony which included readings, hymns, African music and touching tributes from his family and friends. Images of Mr Dingwall’s life also flashed on the screens to the audience. Haile Mariam, 63, from Handsworth, read out a tribute from his church friends and family back in Ghana. Mr Mariam said: “He’s been coming to the Ethiopian Orthodox Church in George Street, Aston, since 1975. 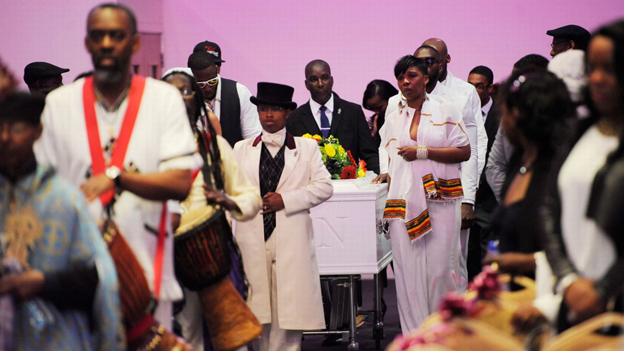 “This is the first funeral we have held for a member in Birmingham. “So many people knew Dingy, he was humble, a good person. Grandfather-of-one Bernard John, 54, from Aston, gave a humorous speech about his best friend. Mr John, a carer, said: “I knew Dingy from the 70s and grew up with him. “He was a king and an ambassador for the community. “He represented Rastafari, he promoted peace and love throughout. He was accepting of everybody. Dingy, who also a well known face in the old Bull Ring market where he sold pictures for many years, was laid to rest at Handsworth Cemetery.